In today's dynamic and constantly shifting business landscape, there are a number of possible reasons why a company may need to perform a complete overhaul of their products, services, or business model. Internally, usually as the result of an overly conservative managerial model that has allowed the company's offerings or way of doing business to become outdated, or no longer relevant. Quite often technology is an important factor in the requirement for business transformation, either by having allowed competitors to become more competitive in comparison to entrenched market leaders, or by suddenly and unexpectedly shifting the needs of the marketplace, and of a company's traditional customers. The inherent irony here is that, in almost every case, technology is just as important in resolving the problems as it was in causing them. The very thing that often necessitates the business transformation process can be harnessed to effectively turn the tables, and return a company that has fallen behind, back to the front of the pack. 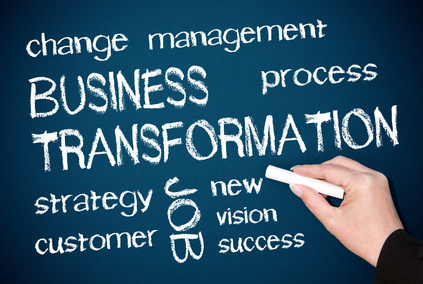 There are a number of challenges that face any company in need of a business transformation. The sheer scope of the changes necessary is often so daunting that the management team has no idea where to start. Once the ball is actually rolling, there are inevitably elements within the corporation that resist change of any kind. These entrenched interests will often do their utmost, often with the best of intentions, to prevent, delay, and otherwise interfere with the design and implementation of the new way of doing things. Further compounding the difficulty is the fact that most companies who find themselves needing to restructure at such a fundamental level lack the requisite in-house skill sets necessary to both determine what changes are necessary, and to implement those changes. 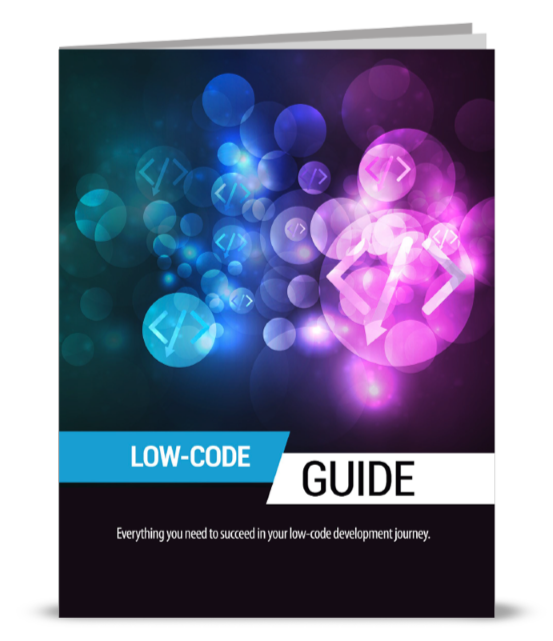 This is particularly true when it comes to implementing new and more powerful technologies, and it is in the technological sector the company stands to gain the most ground. Enterprise information management (EIM) involves the collection and analysis of the wealth of information available to any modern business. EIM concerns itself with both external information, that pertaining to customers, competitors, and the market in general, as well as internal information such as interdepartmental communication, and so forth. It is always been true in business that information is power. The problem these days is not so much in getting information, though, but in figuring out what to do with the overload of information available. A good EIM strategy, and the right software tools to implement that strategy, can mean the difference between a successful company and a failed company. Often included in enterprise information management systems, collaborative platforms provide the tools necessary for effective inter-and intra-departmental communication, as well as external communication with both customers and suppliers. The inclusion of robust teleconferencing, telepresence and content management tools can boost total productivity by a surprising amount while enabling an unprecedented level of flexibility and adaptability. People are the most valuable resource in most businesses, and a properly configured collaborative platform is the best way of utilizing that resource to its best effect. Business process management is the single most important technological change a company can make in their business transformation process. 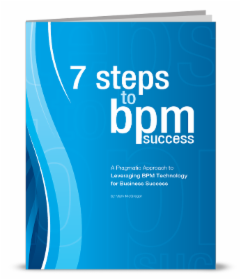 BPM is a business methodology whereby a companys business methods and processes are treated as resources, to be regularly analyzed, reviewed, and optimized. 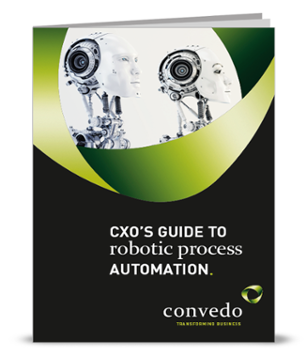 By incorporating BPM, and its focus on regular, steady, positive change into the business transformation process, a company is, in effect, ensuring that they will never again be in a position where a comprehensive business transformation is necessary. Modern business process management solutions result in frequent, small changes to business methods so as to accurately reflect a dynamic business environment. This makes it much more difficult to be caught unawares by the sudden shifts that can be devastating to more traditional businesses.